In Bock v. Hansen (2014) 225 Cal.App.4th 215, the California Court of Appeal recognized, for the first time, that an insurance adjuster may be sued for negligent misrepresentation for falsely characterizing the scope of coverage during adjustment of a loss. Previously, courts routinely dismissed such claims based on the notion that an adjuster owed no duty of care to an insured, whose remedy could only lie against the insurer for breach of contract or breach of the covenant of good faith and fair dealing. The ability now to bring a misrepresentation claim against an individual insurance adjuster is an incredibly powerful tool in obtaining complete relief for abused policyholders. Under certain circumstances, maintaining an action against an insurer’s adjuster may permit the recovery of additional damages typically unrecoverable against an insurer on a breach of contract claim, may drive a wedge between the carrier and adjuster in the course of litigation (or, more likely and just as useful, force the carrier to ratify the adjuster’s bad behavior), and, in the case of a local adjuster, ensure a state-court forum and prevent removal to federal court based on diversity jurisdiction. In testament to Bock’s significance, after publication of the decision policyholder attorneys have pressed such claims in insurance bad faith litigation throughout the State. What follows is a practical primer on the Bock decision and its progeny and what to be prepared for when suing an insurance adjuster for negligent misrepresentation. The issue before the Court of Appeal was whether the trial court properly sustained a demurrer as to the insureds’ cause of action for negligent misrepresentation against the adjuster. In sustaining the adjuster’s demurrer without leave to amend, the trial court had stated that the action was “strictly contract based” and that the Bocks presented no facts that could support a misrepresentation claim. The California Court of Appeal, First District, unanimously reversed, rejecting the adjuster’s argument, and the trial court’s apparent rationale, that because adjusters are non-parties to the insurance contract, they are immune from liability for independent torts they commit while acting on behalf of the insurer. Notwithstanding the expanding list of courts that have followed Bock to recognize negligent misrepresentation claims against adjusters, our experience in litigating the case of Tucker v. Travelers, et al., San Francisco County Superior Court, Case No. CGC-17-560073, highlights the challenges in being able to successfully maintain an action against a carrier’s adjuster. Carriers will still remove the case to federal court, so be prepared to file a motion to remand. The state-court complaint filed in Tucker alleged that Travelers wrongfully failed to defend its insured under a Commercial General Liability policy, resulting in an $18.5 million judgment against Tucker in an underlying catastrophic personal injury action. The complaint included breach of contract and bad faith causes of action against Travelers and sought recovery of the $18.5 million underlying judgment. The complaint also included a negligent misrepresentation claim against a former Travelers adjuster, Diane Frazier. The key allegations against Frazier included the following: immediately after receiving notice of the loss, Frazier telephoned Tucker’s broker and advised there was no coverage for the injury claim because the policy purportedly contained a “full residential exclusion” that excluded all claims arising from work done on residential property; Frazier knew or should have known the policy contained no such broadly worded exclusion; and that, in reliance on Frazier’s representations, Tucker purchased additional and unnecessary insurance to cover his ongoing operations at the job site. In spite of Bock, Travelers removed the action to federal court. It claimed Frazier was a “sham” defendant named solely in order to defeat diversity jurisdiction, that Bock was an “extreme” case of appalling adjuster behavior, and that the complaint’s allegations were insufficient to state a viable claim for negligent misrepresentation, in particular because the allegedly false statements were made to the insured’s broker rather than to the insured directly. Similarly, nothing in Bock suggests that negligent misrepresentation claims may only be brought in “extreme” cases of adjuster abuse. To the contrary, it announced the rule of law that “a cause of action for negligent misrepresentation can lie against an insurance adjuster,” without qualification. (Bock, 225 Cal.App.4th at 231.) Fortunately, the list of cases applying Bock in a variety of contexts has significantly grown. The elements of negligent misrepresentation are (1) a misrepresentation of a past or existing material fact, (2) made without reasonable ground for believing it to be true, (3) made with the intent to induce another’s reliance on the fact misrepresented, (4) justifiable reliance on the misrepresentation, and (5) resulting damage.’ (Ragland v. U.S. Bank National Assn. (2012) 209 Cal.App.4th 182, 196, 147 Cal.Rptr.3d 41; see CACI 1903.) The Bocks adequately alleged such claim here, that: Hansen falsely told the Bocks that their policy did not cover the cost of cleanup; Hansen either knew the representation was false when he made it, or he made it with reckless disregard of its truth; and the Bocks relied on Hansen’s false statements to their detriment. [Name of defendant] is responsible for a representation that was not made directly to [name of plaintiff] if [he/she/it] made the representation [to a group of persons including [name of plaintiff]] [or] [to another person, intending or reasonably expecting that it would be repeated to [name of plaintiff]]. As we have experienced in Tucker, carriers will nevertheless continue to aggressively defend the misrepresentation claim in state court, so be prepared to marshal the necessary evidence to overcome a summary judgment motion and try the case. On behalf of Ms. Frazier, we demand that you and your clients immediately dismiss her from the lawsuit with prejudice. Failing that, Ms. Frazier will consider plaintiffs’ continued prosecution of the negligent misrepresentation cause of action against her to be frivolous and in violation of Code of Civil Procedure § 128.5, for which Ms. Frazier may seek an order requiring plaintiffs and/or your firm to pay the reasonable expenses, including attorneys’ fees, being incurred on her behalf as a result of plaintiffs’ frivolous cause of action against Ms. Frazier. In addition, plaintiffs’ continued prosecution of the cause of action for negligent misrepresentation given the facts here provide the basis for an action for malicious prosecution and abuse of process by Ms. Frazier against your clients and your law firm. The Court: This is a $12,000 claim in order to keep the matter in state court. Isn’t that the bottom line? The Court: No? What else is it? Mr. Coleman: Well, I don’t believe that we get to the point of my ulterior motives. Quite frankly, if I were to have to come in here and talk about what my motivations are in bringing a claim, then I’m in a work product mode. So I have a problem with that approach. The Court: Okay. I understand. Mr. Coleman: If we have the evidence, I can support it. The Court: Okay. So I’m sympathetic. If I could find a way, consistent with the summary judgment rules, to throw out the case and have Ms. Frazier continue with her retirement without worrying about this claim, I would. But I don’t see how I can do it. I got to – here again, all the rules are stacked in favor of Mr. Tucker. I got to liberally construe the evidence, draw inferences favorably to him. And there’s the decision of the Court of Appeals that says this is an actionable claim. Defense Atty: Well, that was a demurrer case, Bock versus Hansen; it was not a summary judgment case. The Court: Yeah, but the legal rule is the same. Tucker v. Travelers is set for trial December 10, 2018, in San Francisco County Superior Court. The trial court has determined Travelers breached its duty to defend Tucker in the underlying action, and that sufficient evidence exists that Frazier negligently misrepresented the terms of the policy’s so-called residential exclusion when she immediately denied coverage. But given Travelers’ “deny everything” approach to the litigation so far, we look forward to being able to provide further reflections on the actual trial of a Bock misrepresentation claim at the end of the year. Terry Coleman has been a partner with Pillsbury & Coleman, LLP (formerly, Pillsbury & Levinson), since 1999, specializing in the representation of policyholders in insurance bad faith and insurance coverage matters. Past clients include individuals as well as small businesses and large corporations. In 2002, Mr. Coleman tried the disability bad-faith case of Randall Chapman, M.D. v. UnumProvident Corp., obtaining a $31.7 million jury verdict for a disabled eye surgeon. He is a past president of the San Francisco Trial Lawyers Association and a Fellow of the American College of Coverage and Extracontractual Counsel. 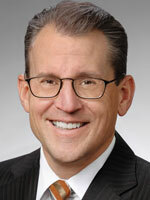 Mr. Coleman also served as chair of the Insurance Section of the Association of Trial Lawyers of America (now AAJ). www.pillsburycoleman.com.